The Lewisville Dentist in Lewisville TX achives fantastic results with our precision smile makeovers. We call it the “Wow!” Factor – which is what you might say the first time you look in the mirror after one of our cosmetic dentistry procedures, and see your new, beautiful smile. 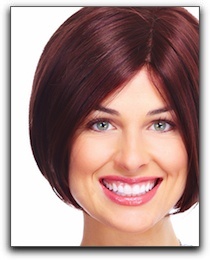 One of the most popular procedures we offer is professional teeth whitening. Everyone seems to want whiter teeth: just look at all the over-the-counter products in the stores (and all their advertising). Make no mistake: none of them can match the results you’ll get from professional teeth whitening. At The Lewisville Dentist, we offer Zoom! teeth whitening, an in-office procedure that uses a light-activated whitening agent. We also offer the Opalescence system, a take-home kit you can do in the convenience of your home. We also offer porcelain veneers, which can improve your smile by masking chips, cracks, gaps, and dulled teeth. Veneers are thin medical-grade ceramic that are attached to the front of your teeth. The Lewisville Dentist has other cosmetic dentistry options that give you a beautiful smile, and the “Wow!” factor. We provide sedation dentistry for those coping with dental anxiety, and a range of family dentistry treatments. Schedule an appointment today.